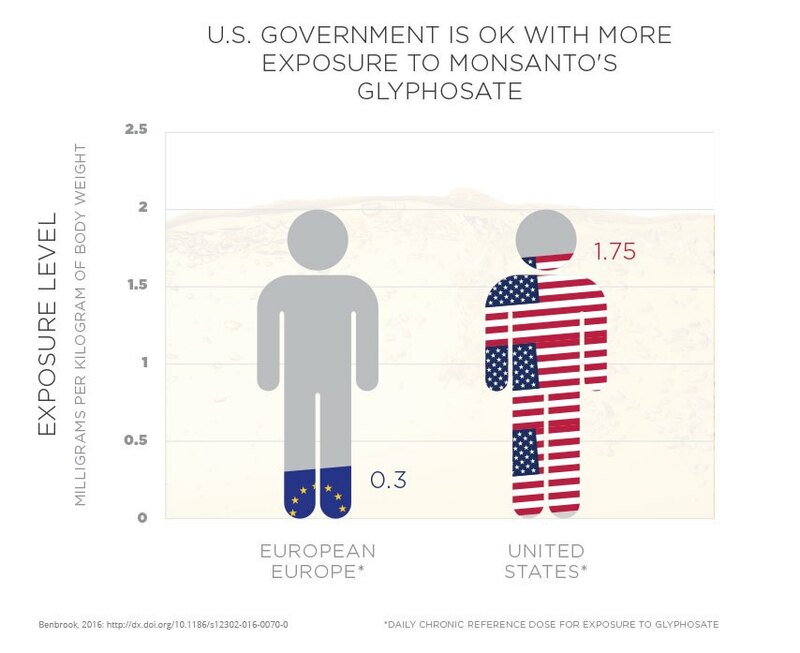 Americans are more likely than Europeans to be exposed to Monsanto’s glyphosate weed killer. That’s in large part because the U.S. Environmental Protection Agency’s calculations to determine allowable levels of glyphosate use are much more lax than the European Union’s. And American growers spray a lot of glyphosate. As Dr. Charles Benbrook points out in his paper, Monsanto’s genetically engineered Roundup Ready crops made it possible for growers to spray glyphosate more often – and almost up to harvest time. That leaves more of the weed killer’s residues on the crops. Moreover, ever since genetically engineered crops came on the market and drove up the use of Roundup, the EPA has been ratcheting up the allowable levels of glyphosate residue for certain crops.